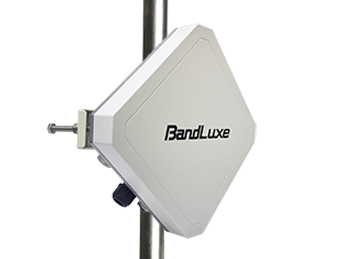 BandLuxe E700/E700A series Outdoor CPE aims to bring superb LTE high-speed quality to your residential and business buildings, when a fixed line is difficult to reach either in urban or rural areas. 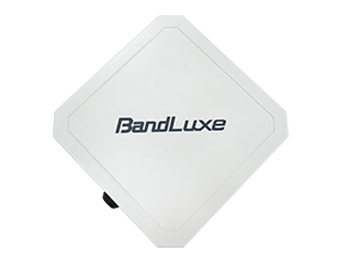 Embedded with high gain MIMO directional antenna, BandLuxe E700/E700A outdoor CPE can provide coverage enhancement for more than 20-40 dB (antenna gain plus wall penetration and position gain) compared to indoor devices. It is idea cost saving (in an intelligent calculation, the E700/E700A series is much more cost effective in per-bit data delivery) and RF power saving solution for operator to rollout broad info-pipe to rural residential/SOHO and urban business buildings as well. BandLuxe E700/E700A series is equipped with a smartly designed mounting kit. 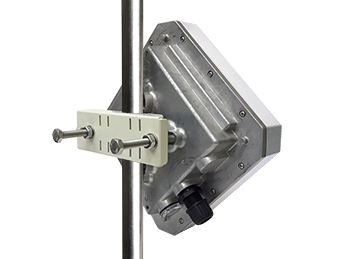 It allows easy adjustment of horizontal azimuth and vertical tilt of antenna for the best receiving signal and transmitting path two-way between the BTS and the device. This tunable design has significantly saved the RF power waste in the air and achieved higher spectrum efficiency. Housed in a ruggedized shelter box, the E700/E700A series is designed to weather both regular and harsh outdoor conditions. It is IP66 grade compliant for dust and water proof; it is ruggedized to pass wind tunnel test up to category 4. The outdoor robust multi-purposed design allows the device to operate well in varying temperatures between -40°C to 65°C (-40°F to 149°F).